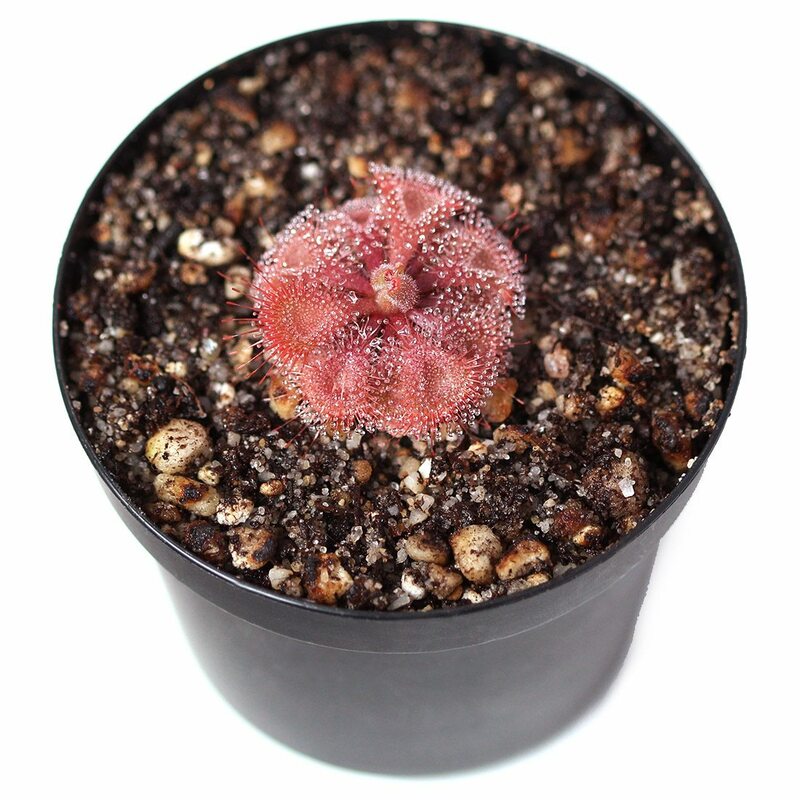 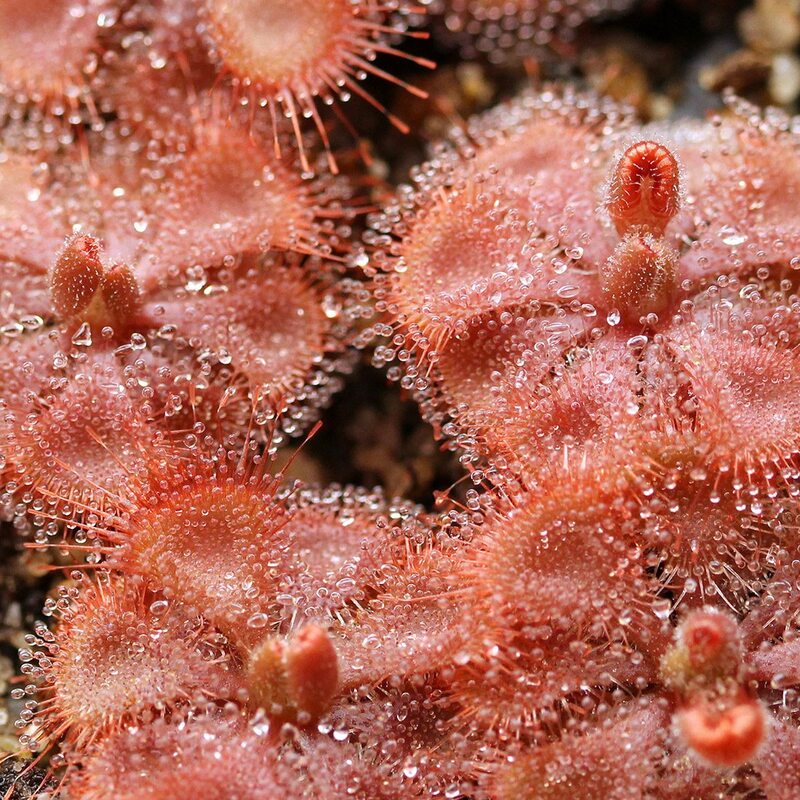 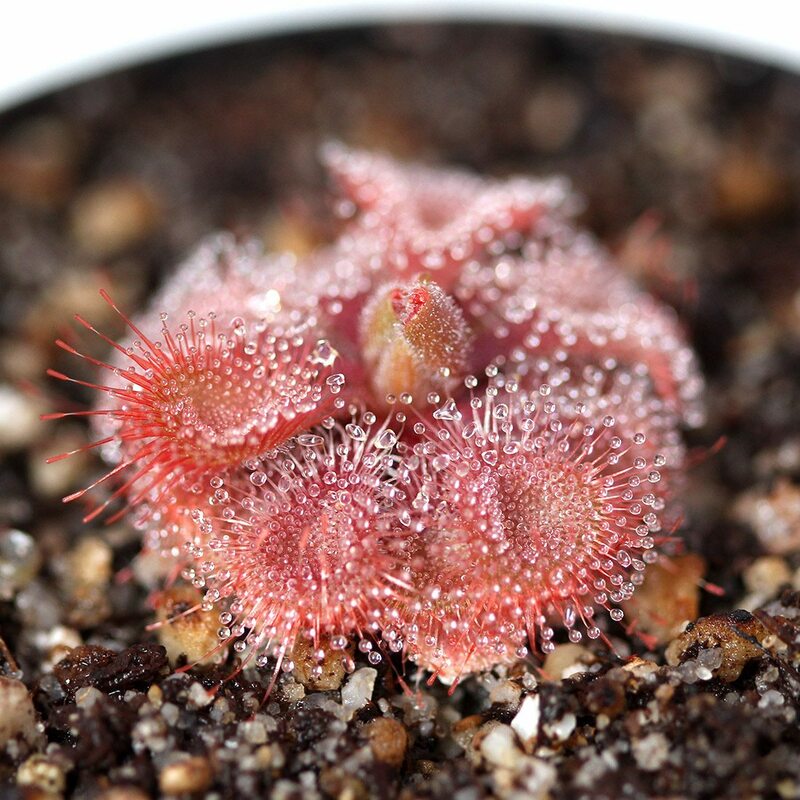 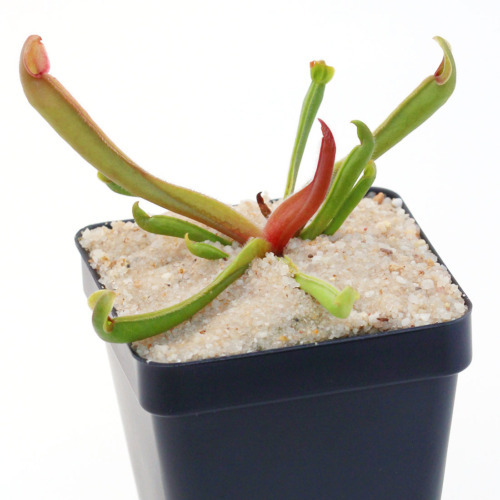 This variety of Drosera burmannii is originally from the vicinity of Humpty Doo in NT, Australia. It’s sometimes confused with its relative, Drosera sessilifolia. 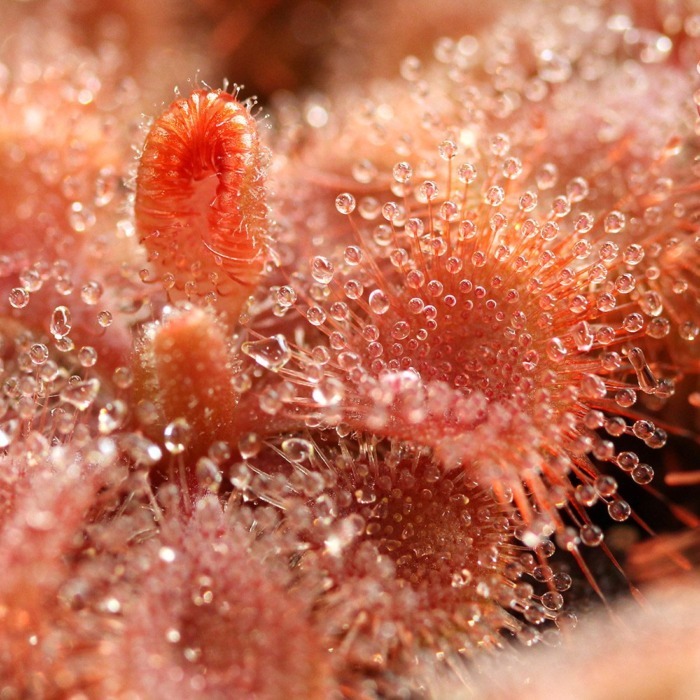 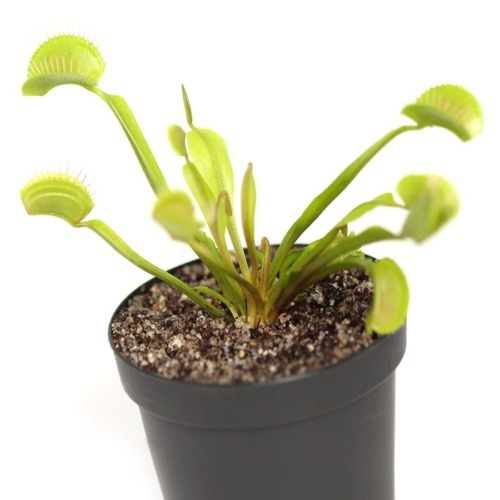 The leaves of D. burmannii are covered with tentacles (trichomes) that secrete a sticky “dew” to attract and catch prey. 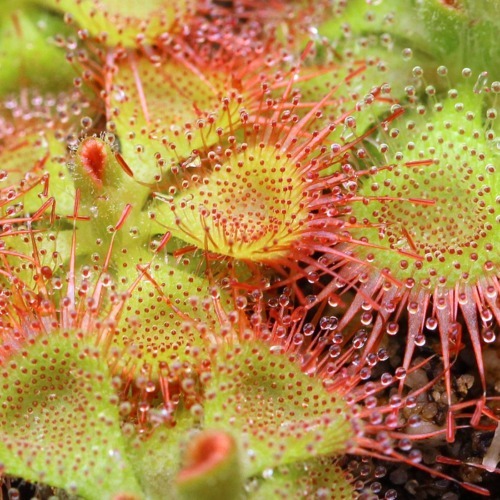 In addition, the leaf edges are lined with snap tentacles which quickly fold up when disturbed, drawing prey up onto the dewy portion of the leaf. 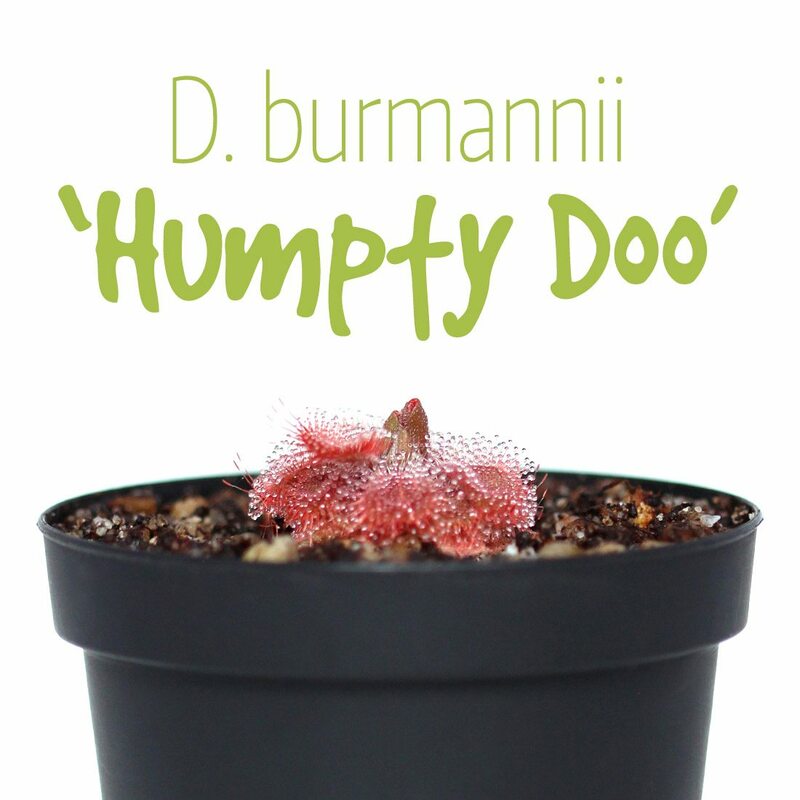 D. burmannii ‘Humpty Doo’ grows as an annual in the wild but can live for several years in cultivation if fed regularly. 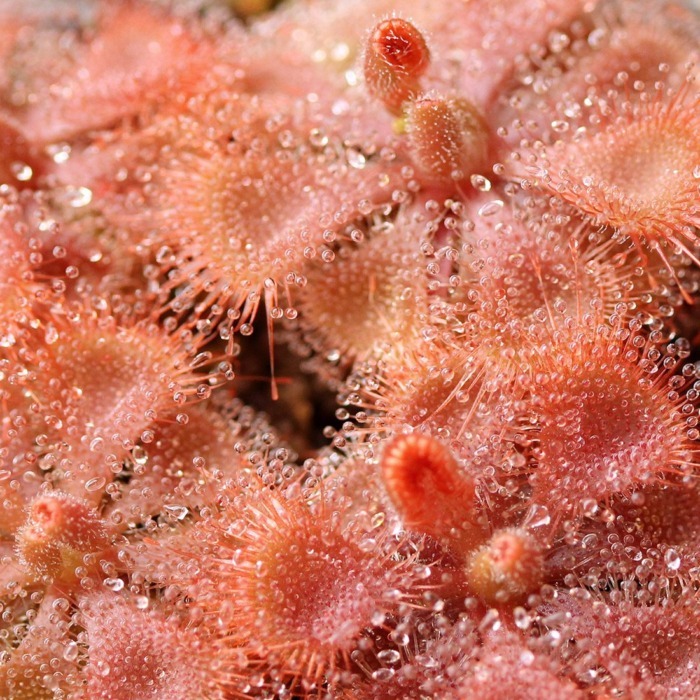 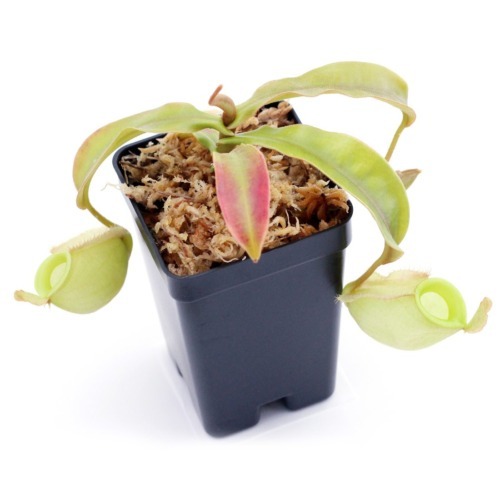 It flowers prolifically, producing hundreds of seeds over its life and turns bright pink under intense light.